Thank you for your feedback. I m glad you had a great time with us in Tarifa sharing our passion for kitesurfing. It was really cool seeing you having a fast progression and starting your firts ride on the board. Hope you will have the opportunity to carry on practicing and we will see you again soon in Tarifa for some great kitesurfing with us. After having done some beginner course before in other places, we were ready to get up and riding in Tarifa! After reading good reviews of Max kiteschool we decided to go for it. We went to the cafe in Tarifa as described on the website as their home base, however there was no one from the kiteschool and we were told to call the number on the website. We did and as of that moment communication went well (so a tip: call/app immediately, don't bother going to the cafe). We received WhatsApp messages at what time we needed to be present the next day and communication was smooth. 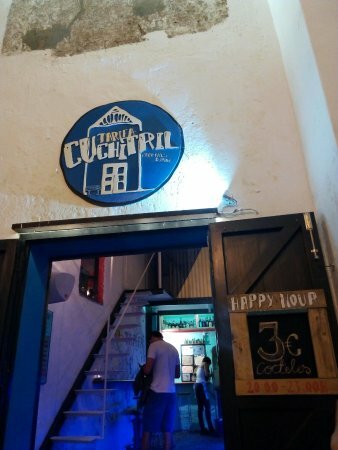 Note that their kiteshop is 25min walk outside of the historic centre of Tarifa. If you have a car it is just 5min. Then to the kiting itself. Material was good, we always had multiple kite and line sizes available for all conditions. Teachers were very experienced and really wanted to help us get riding. They gave good tips and were excited when we managed to take a next step, always taking safety into consideration. In 3 days we had 2 different teachers but they had discussed our level together so that we didn't lose time because our second teacher hadn't seen our level before. The last day we had to wait a bit longer before the wind picked up and we were even charged less because we had a little less time to ride that day. Very nice and relaxed staff, and when we come to Tarifa again, we will surely go to Max to rent out gear too. Thank you for your feedback. I m happy you enjoy your time kitesurfing with us, you actually had both a really good progression. It was nice to see that´s by the end of the 3rd day you both start to be confortable with the practice. Hope to see you again soon in Tarifa for some great days kitesurfing sharing our passion. I stayed at the guesthouse for a week and took lessons with Mathieu's team everyday. As I was by myself, it was great to share the guesthouse with other people and go out in town together in the evening. Mathieu is a great manager, with a lot of enthusiasm and passion for his sport. He stayed in touch constantly, answering every question I had, and he even filled in a for my instructor who had called in sick on the first day. I particularly enjoyed that the lessons were tailored to my level, and I felt that I was making constant progress. Thank you for your feedback. I m glad you had a great time with us in Tarifa sharing our passion for kitesurfing. It was really cool seeing you having a fast progression and be confident with the practice. 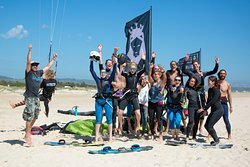 Went to Tarifa with friends for a 3 day Kitesurf course with Max Kitesurf school. Dedicated instructors, really helpfull, funny and amazing good kiters. Hope to come back next year. In my experience they will try to squeeze every last penny out of you and are willing to lie to do so and change whatever they agreed to do after they make sure you paid them. I booked myself as an individual into the group course, meaning I would join a group of other beginners. One day before the course I received an email from Mathieu trying to convince me to take the private course. Due to a tight budget, I chose the group course nonetheless. That means I paid for 5 days class, 4 hours of class per day. 20 hours total. On my first day they made me pay for the group course. Only AFTER I paid they informed me that actually they had no other interested candidates for the group class. Only then it became clear why the day before Mathieu tried to convince me to pay for a private course: because he had no people to fill the group class and wanted more money eventhough it was not my fault he could not fill his classes. Why wasn't he just honest about it? When asked why they didn't inform me before I paid they lied straight to my face. And that was not the only time they lied. AFTER my payment I was informed there were not other students. Only AFTER I took one class they informed me I would only get three classes instead of five. (So 9hours of class instead of 20) Why they waited till the end of the first day to tell me I would only get three classes (9 hours)? Because then I would not have the option to chose for another kitesurfing school anymore of course! They deceived me to make sure they could get my money. a) they did not give me any choice in agreeing or not to that arrangement until after they made sure I could not walk away. b) they revised the arrangement several times: not only did they cut my 5 day (total of 20h) group class to 3 day (total of 9 hours) because they failed to have enough students, and argueing that it was only fair because it was now private class. No: on my third and last day of 'private' class, a new student joined in and my class started all over from zero! I am sorry, but if you have to force people to chose your kitesurf school by using deception and by withholding information, that is not a good sign. If you run a kitesurf school with integrity and you genuinely care about your customers, then you inform them fully about any change in terms and conditions BEFORE they pay and you give them a CHOICE to agree or to look for another school. In my case they changed the terms and conditions twice and gave me no choice yet made sure to take my money. It also meant my holiday schedule got changed without me having a choice in it. The most disappointing is not the change in contract, but that they did at no point give me any choice, and that I was deceived! I guess their reasoning is that most students are anyhow just one-time only customers, so they think tricking their customers has no repercussions. Maybe that was the case back in 1998 when this school started, way before the existence of tripadvisor and online reviews. If this is still how you treat customers today, prospective clients will find out, and will look elsewhere. That is also what I would advise you to do: to look elsewhere. 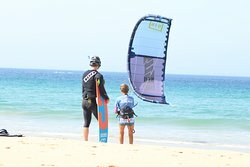 There are plenty of kitesurf schools in Tarifa. While undoubtedly they all have financial motives, if I would go to Tarifa again, I would pick a school that is honest and upfront about any changes in contract and which leaves me a choice. I would not take this one, nor would I advise this one to anyone. I m not sure why you take the time to write this text as is not fair and we didnt make you pay any extra money for a more expensive lesson and personal tuition. 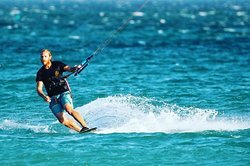 We are a team of passionate people about kitesurfing and Tarifa, I will ask any one to make their own jugement by reading also all the other reviews. Unfortunately you probably miss to share our passion and see the dedication we give in our lesson with our instructor in the water with each one. In any case when we change your lesson from group to private its an up grade and we didnt ask you to pay any extra cost then it s no way we try to ask you for more money. For the information, the 9h private lesson cost more than the 20h group lesson, and in 9h private lesson we achieve a better level than in 20h group course with a tailor made lesson and more attention from instructor. We also offer to change the lesson to a short private lesson as the weather forcast was showing some day with no wind and this way you get to ride on the board and achieve the level quicker. I hope you had appreciate the dedication of your instructor in the wáter with you to make sure you have the best progression , get to ride on the board and start being independant with the practice. I also hope you will carry on kitesurfing and in the future with more experience you will see the positive and passion we share in our lesson since now nearly 20 year. 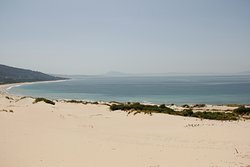 In any case we will happy to see you again in Tarifa to enjoy with us some great day kitesurfing. I m realy please you enjoy your time with us and appreaciate the dedication of your instructor. You realy improve a lot during this few days, well done. Hope to see you again soon for some great day kitesurfing sharing our passion.